The first floor layout offers several options and usage can be amended as phasing is developed or the need arises. 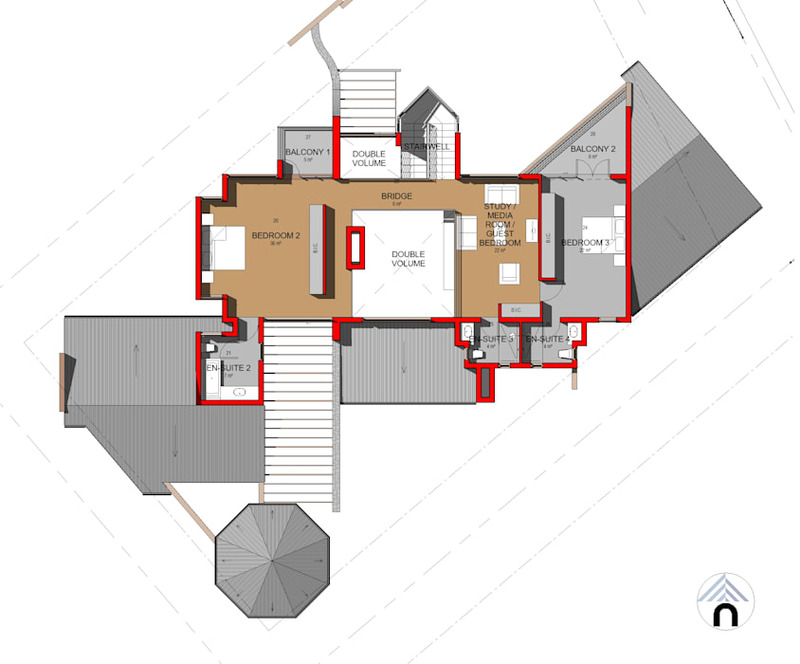 In this layout, the ground floor dining room is visible via the double volume that separates bedroom 2 from the upstairs lounge/ study or media area. Bedroom 3 is accommodated above the double garage and also features it’s own balcony and en-suite. Again, all rooms have North facing windows and doors allowing maximum light and sun during winter months. As a further option, the double volume can be closed up with a timber deck, and the media room converted into a frouth bedroom, while the double volume are then will form the upstairs lounge/ study or media room.